I still need to do some tidying, and I am definitely making a few more of these, so it’s not totally complete right now. I need to sit it slightly further forward too. 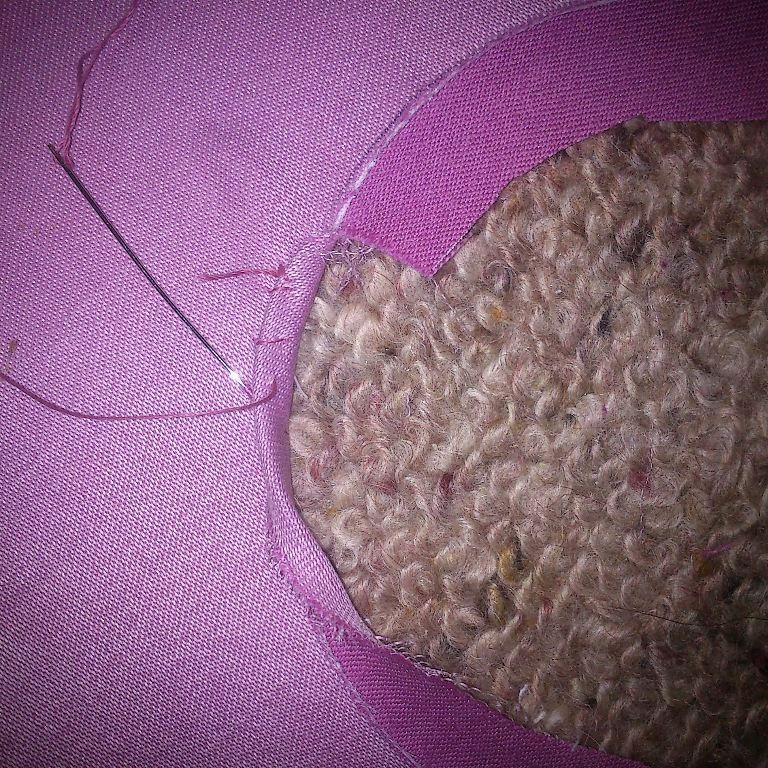 I added more pearls yesterday to the embroidery of the pink hat and sewed up the brim. The seam allowance was caught through all layers with a pick stitch every 2″ which anchored the gathering running stitch into short curves that follow the edge. The prick stitches are nearly invisible on the other side. 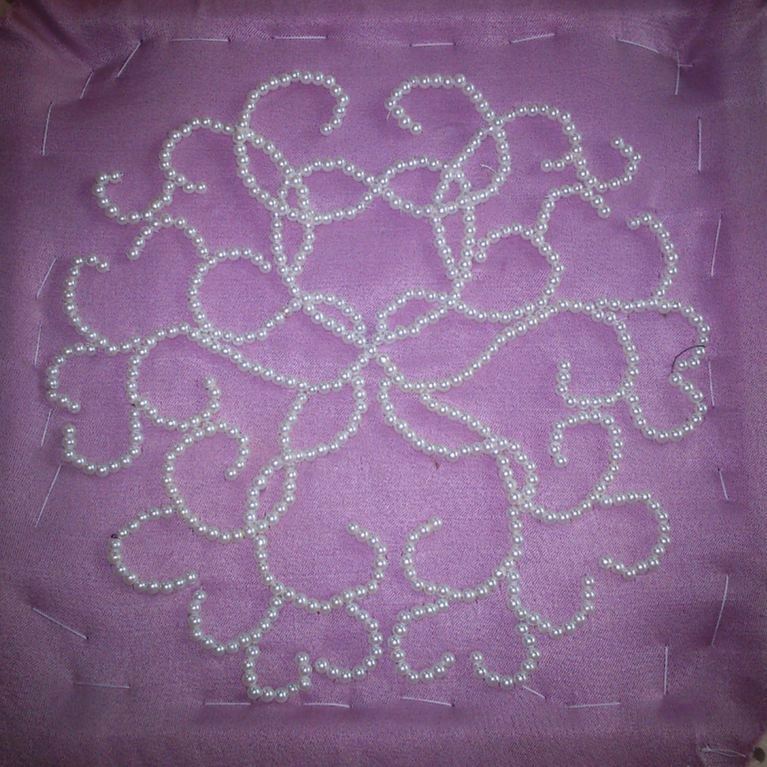 The pearls were removed from the frame. 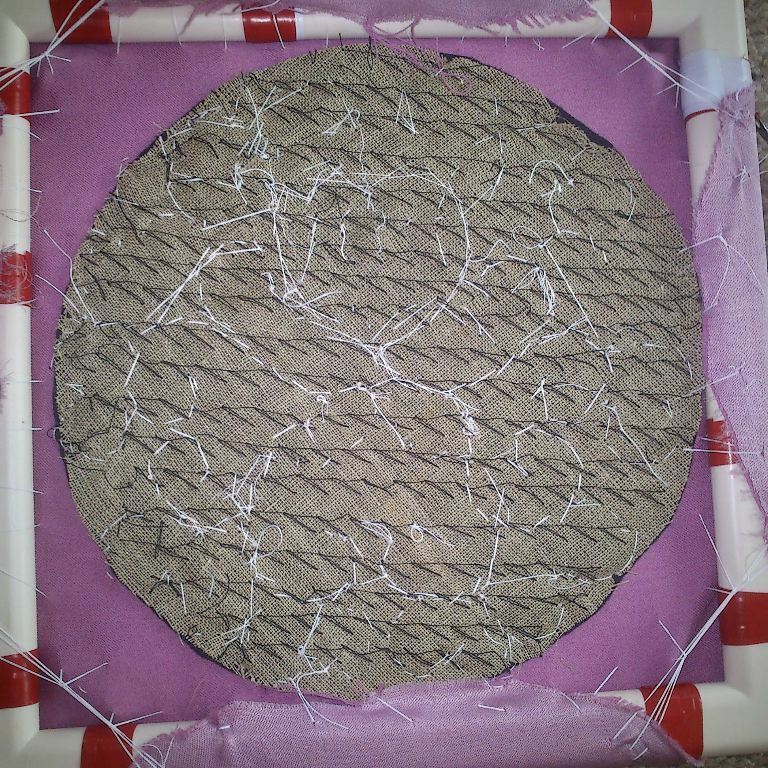 I made two more circles of the same heavy duty fusible/shape-forming material to add extra support the pearl platter shape and basted a layer of shot silk to the inner most circle. 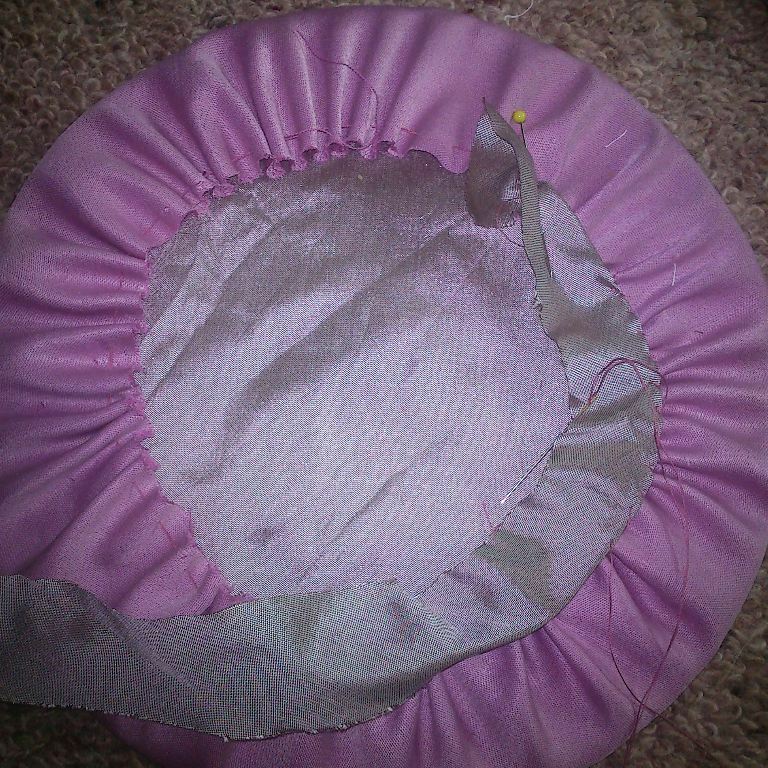 Then clipped the extra fabric to the same depth and gathered to create the turn under.This was easy as the support circles kept the shape perfectly. I bound the edges and trapped the gathers in place. The silk is bias cut. I used to also believe this was fairly wasteful until I started to think like a workshop. Bias is not at all wasteful if you use a short length over several projects. As an example. 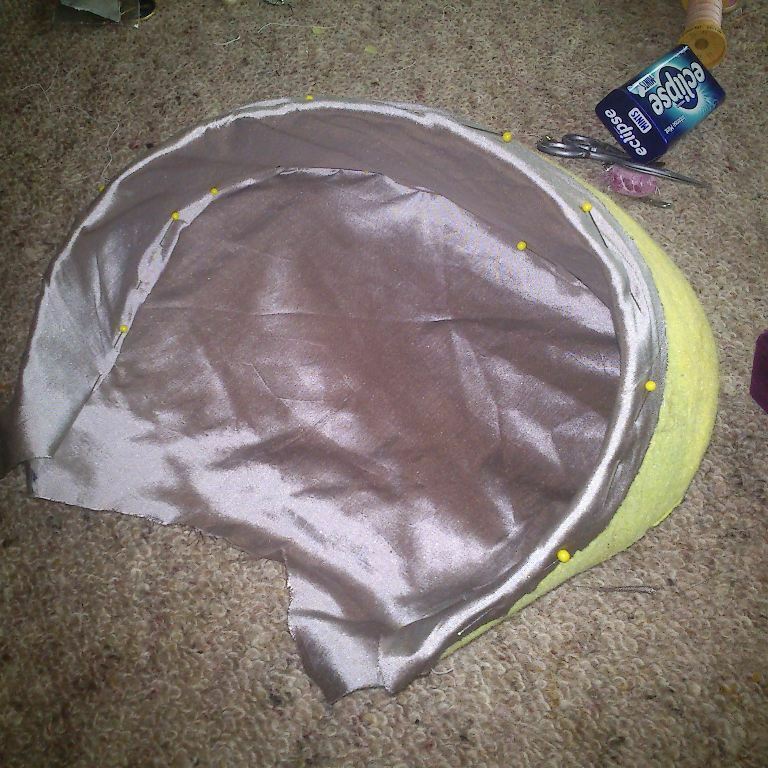 The skirt for the gown that this hat is made for used 3m of velveteen for the hem guarding. That is more than I used in the skirt. 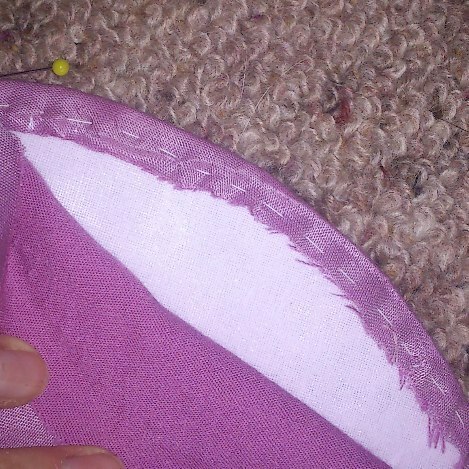 It is in part because I was cutting on the fly but I kept my seam allowance to a minimum. But I used three strips of bias tape for the hem facing and about the same for the underskirt. And I have a lot of silk left over. 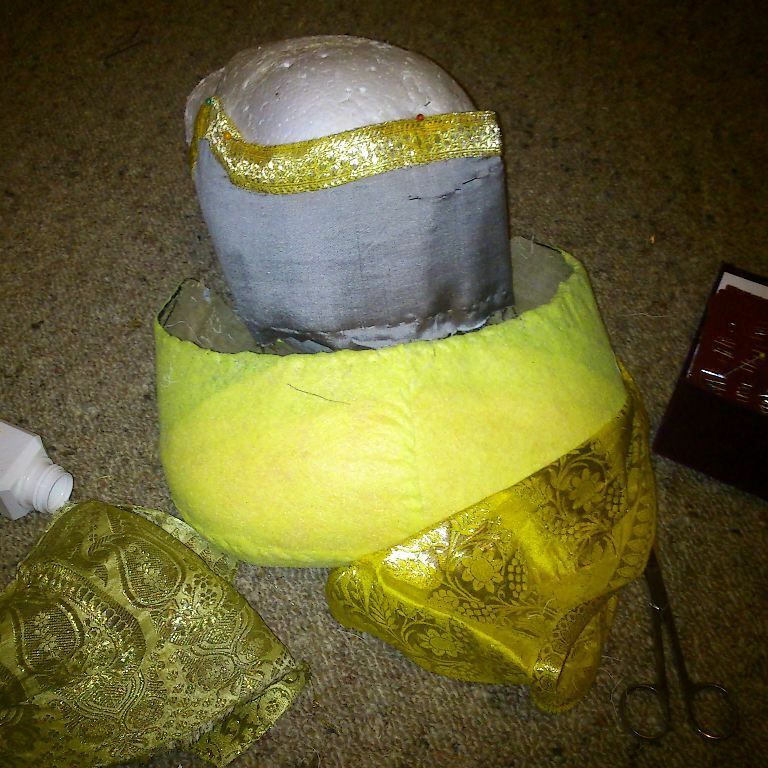 The cap was pulled apart a few nights ago during a bit of insomnia and then I got to test a few lengths of brocade. I decided on a denser piece of the same saree I used originally on this form. 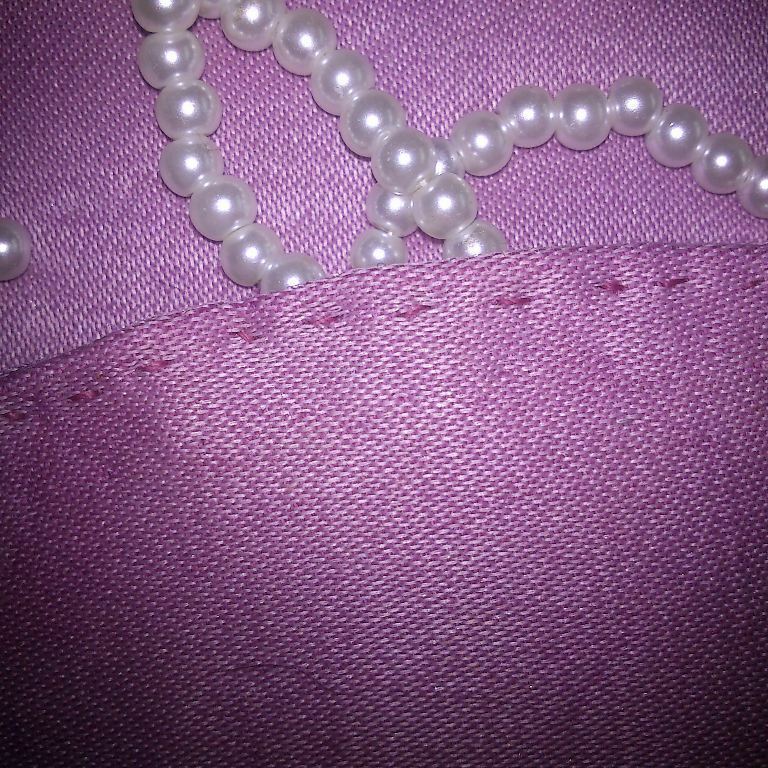 And I used the same silk as used in the bias tape to tidy the inside. I do not have any curved needles but I found a cheapie one that could be bent and oh they are perfect for this kind of seam. 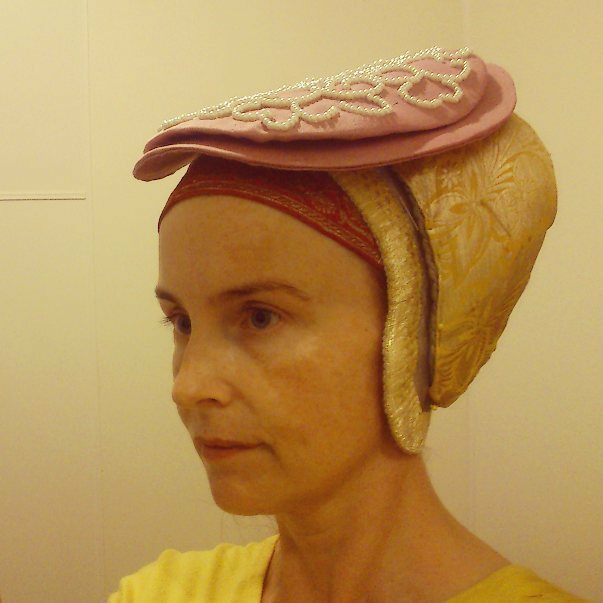 The internal part of the headpiece can be of two shapes. This curved edge is seen in both linen and silk versions but I haven’t seen it with the flat cap as well. Only with a fairly pointed piece to put a jeweled strip over. Sorry for the use of English terms. I don’t want to use terms that come from the area as I’m not convinced we have them correct. All the terms at this point are in a bit of fluidity. i think I’m getting closer and will do a proper run through very soon.